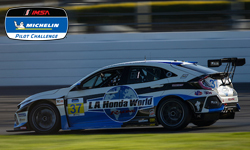 One of the most grueling tests of sports car endurance racing anywhere in the world begins this Saturday, March 16 shortly after 10:30 a.m. 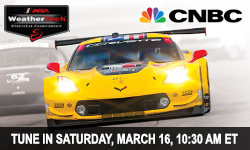 ET with live television of the start and opening hours on CNBC. 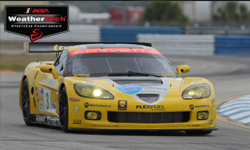 Check out live updates from the Mobil 1 Twelve Hours of Sebring Presented by Advance Auto Parts. 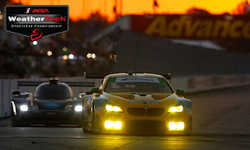 News and notes from the IMSA Michelin Pilot Challenge throughout the weekend at Sebring. 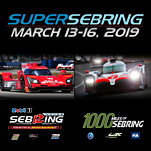 Just days before the 67th Mobil 1 Twelve Hours of Sebring Presented by Advance Auto Parts, flash back to the race’s running in 2000. 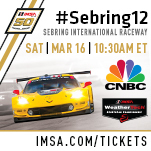 The 3.74-mile, 17-turn Sebring International Raceway course layout is one of the most challenging and respected anywhere in the world. 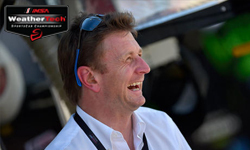 St. James Recalls 1990 Mobil 1 Twelve Hours Of Sebring Victory; "Hardest Track I've Ever Raced On"
Lyn St. James co-drove to the GTO class victory in the 1990 Twelve Hours of Sebring alongside current NBC Sports IMSA commentator Calvin Fish and racer’s racer Robby Gordon in a Roush Racing-prepared Mercury Cougar XR-7. 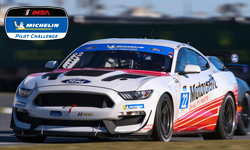 Four drivers entered in this weekend’s IMSA Michelin Pilot Challenge race at Sebring International Raceway may be new names to sports car fans, but most are definitely not to NASCAR fans. 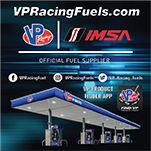 This week�s top social post featured a look at Corvette Racing now and then at Sebring International Raceway. 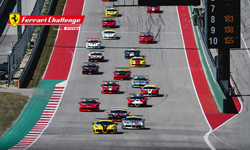 First winners of 2019 crowned at Circuit of The Americas. 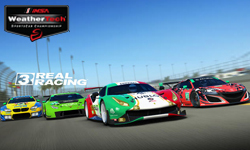 Gamers worldwide can now enjoy an exciting new addition to Real Racing 3 as Electronic Arts partners with the International Motor Sports Association, North America’s premier sanctioning body for sports car competition.